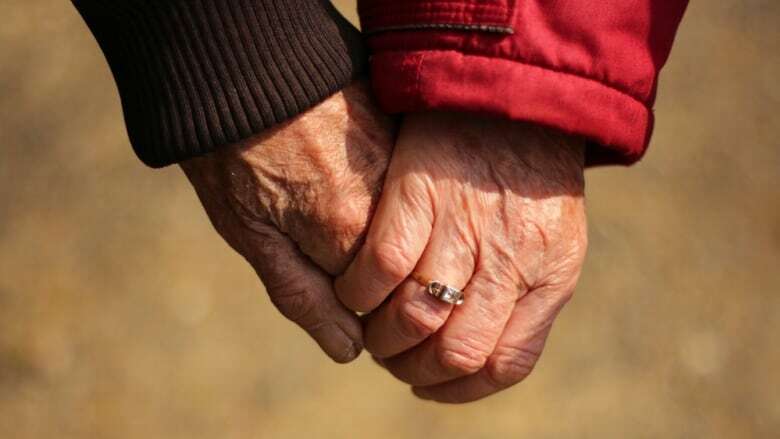 A man and woman married for 65 years remain in hospital a week after ingesting pills in an apparent bid to die together. The man told Saguenay police his wife, who has dementia, asked him in a moment of lucidity to help her die. A Saguenay man who told police his wife of 65 years, who has dementia, asked him in a moment of lucidity to help her die could now face charges of inciting suicide. The elderly couple remains in hospital a week after ingesting a significant number of pills in an apparent suicide pact. They are both expected to recover. Saguenay police are investigating the case, including asking friends and family whether the woman had ever before expressed her desire for a medically assisted death. 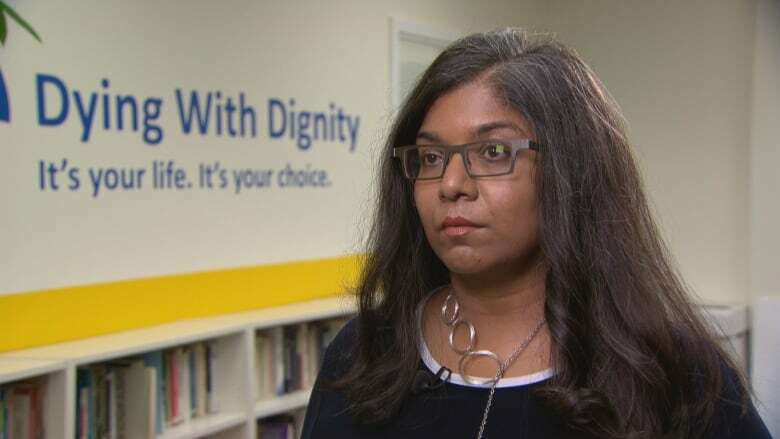 "It's just tragic," said Dying with Dignity CEO Shanaaz Gokool. "It's really, really sad that a couple that's been married for such a long time — 65 years — felt so desperate that they would engage in a pact together to try to end their lives." She said the case further demonstrates why Quebec and Canada's laws governing medical aid in dying need to be amended to allow patients suffering from Alzheimer's disease or other forms of dementia to provide advanced consent. Under Quebec's law, a person seeking medical assistance to die must be terminally ill. Under federal law, a person's natural death must be "reasonably foreseeable." In both pieces of legislation, a person must be able to give informed consent immediately before medical assistance in dying is provided. In the case of people with dementia or Alzheimer's disease, by the time their natural death is "reasonably foreseeable," they are no longer able to give informed consent. No legislation exists in Canada allowing people to give advanced consent. People like the Saguenay woman are "completely shut outside of the legislation," Gokool said. "This is a phenomenon and a troubling issue all across the country, because essentially we're telling people that because of their diagnosis, they're not able to access the same rights as someone who has capacity [to give consent]," Gokool said. "We think that's wrong. It's discriminatory, and now Canada has to remedy the situation to make sure that people who have these conditions are able to access an assisted death." A court case is already underway challenging the federal and provincial laws. Two Montrealers with degenerative diseases, Jean Truchon, 49, and Nicole Gladu, 73, want the right to medical assistance in dying, even though they are not facing imminent death. They argue Canada and Quebec's laws are too narrow in their criteria and run counter to their Charter rights. In response to that court case, Quebec Premier François Legault said this week his government will look at extending the law to those with Alzheimer's and other conditions — although he warned that would take time. Line Vincelli, a long-term care nurse who owns a private seniors' residence in the Montreal borough of Outremont, said she agrees in principle with the idea of advanced consent, but any law would have to be flexible enough to account for the vast differences in each patient's situation. "I think that we cannot apply a law without discernment and the proper judgment," she said. "We're dealing with human beings." Vincelli says people with Alzheimer's disease or other forms of dementia can still have a good quality of life. "This is a very delicate and complex and sensitive issue," she said. "My strong belief is that before finding a way to end their lives, we should first find a way to give them a good, meaningful life." She said that she embraces the carpe diem approach — trying to help each patient live every day to the fullest, even if that patient does not remember what they did by the following morning. Pauline Tardif, the CEO of the Alzheimer Society of Canada, agrees with Vincelli that advanced consent is a difficult concept to navigate. It is nearly impossible to predict future suffering, she said, and it's equally difficult for a person to predict how they might handle a future challenge. Even if they want to give advanced consent, they may feel differently later. Tardif said there needs to be a greater focus on palliative care, to reduce the stress on both patients and caregivers, with the aim of improving everyone's quality of life. Dying with Dignity's Gokool said allowing patients to make prior requests could reduce the risk of people taking matters into their own hands if they get a diagnosis of a neurodegenerative disease. Theoretically, she said, advanced consent could take the form of a document in which patients would list the conditions under which they would want a medically assisted death, and a designated person would be able to act on that document when the time comes. "There are some issues around how it would be operationalized," Gokool said. "But I think we have to start with the starting point."